I appear to be winning here! 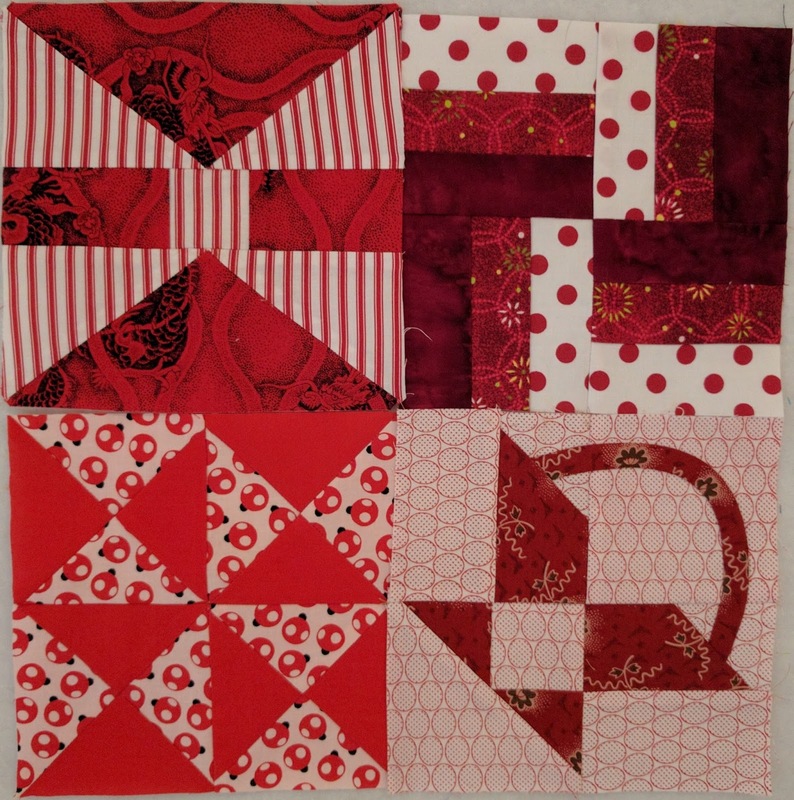 4 blocks made over the past few days as well as some machine quilting and class prep for the weekend. I am teaching 'all about machine quilting with rulers' at a local shop, so much to get ready- just when I think I have it done! I have taught it before, but each class I seem to update my resources as I buy more rulers and practice more at home with them. There are so many great rulers to choose from! The red and white blocks are coming along nicely, although I did have to break the "no more fabric purchase" rule and get some 'white with red' fabric, I seem to have lots of solid and darker fabrics, but not much of the lighter ones. I am enjoying playing with some of the more interesting fabrics too, the stripes, beetles and spots are a bit of fun! This is a really good plan- the Weekly Art Project, and I hope to stick to it, it is making me more aware to blog each week, and also to upload my pics on Instagram too.